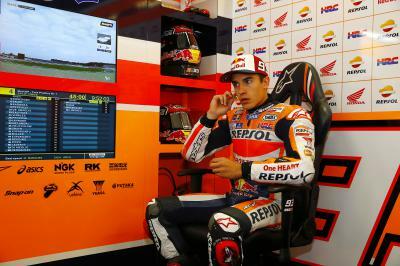 Marc Marquez finished the day in second at the Motul TT Assen after trying a new set-up with his RC213V. Repsol Honda’s Marquez ended the day in second just behind his teammate Dani Pedrosa as he tried out his 2014 frame with his 2015 engine, swingarm and electronics, and seemed pleased with the outcome. Marc Marquez: “Today went fairly well and I'm happy because we had some more normal free practice sessions ‒ riding with a good pace and used tyres ‒ and I enjoyed myself on the bike. It’s clear that we still have to work hard and improve, but I'm happy with how things went. We expected Jorge and Valentino to be further ahead of us at this circuit, but this has not been the case. Dani was fastest and I was second which is good for the team. 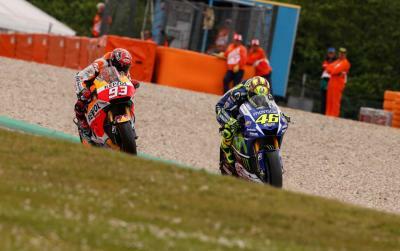 However, this is only practice and we must continue to progress, and I think that Valentino especially has a strong pace." In this episode Amy interviews Scott Redding, while Dylan examines the complicated relationship between team mates Rossi & Lorenzo. Despite having never raced at the Motul TT Assen, Jorge Navarro demonstrated a strong pace on the opening day of practice. Eugene Laverty seems delighted by his new swingarm after the first day of Free Practice at the Motul TT Assen. The Motul TT Assen saw Sam Lowes end the day in third and just 0.012s off second position on his Speed Up machine. Bradley Smith finished the day in 13th after tyre issues affected him in FP2 at the Motul TT Assen. Scott Redding struggled on the first day of Free Practice at the Motul TT Assen, finishing down in fourteenth. Britain’s Danny Kent feels there is still room for improvement after setting a new lap record at the Motul TT Assen. 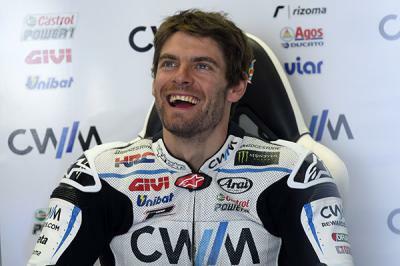 Cal Crutchlow was pleased to finish in fifth after the first day of Free Practice at the Motul TT Assen. 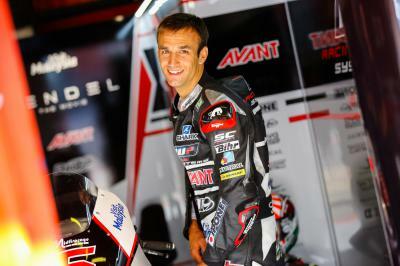 Simone Corsi returns to the head of Moto2™ at the Motul TT Assen almost a year after his wrist injury. 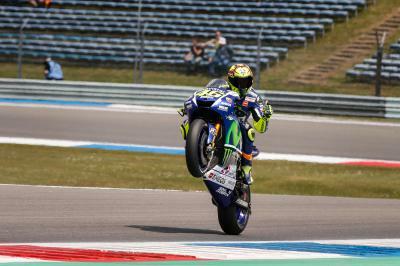 Valentino Rossi would have made his rivals stand up and take notice after a much-improved performance in Free Practice at the Dutch GP. Another strong start to a Grand Prix weekend for Johann Zarco as the Catalan GP winner tops Thursday practice.